On a wedding day one thing I always look out for is wonderful light. I've become quite good at finding it. 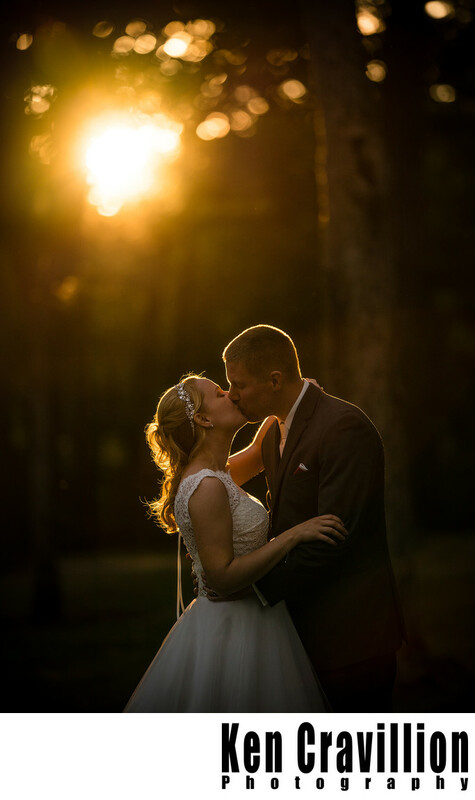 For this wedding photo there was a shaft of light peeking through the trees at the Heidel House near the tent. I placed the bride and groom in the sweet spot and that was all there was to it. The Heidel House is a great venue and I love coming there. I usually photograph 5-10 weddings there a year. 1/2500; f/1.8; ISO 250; 135.0 mm.